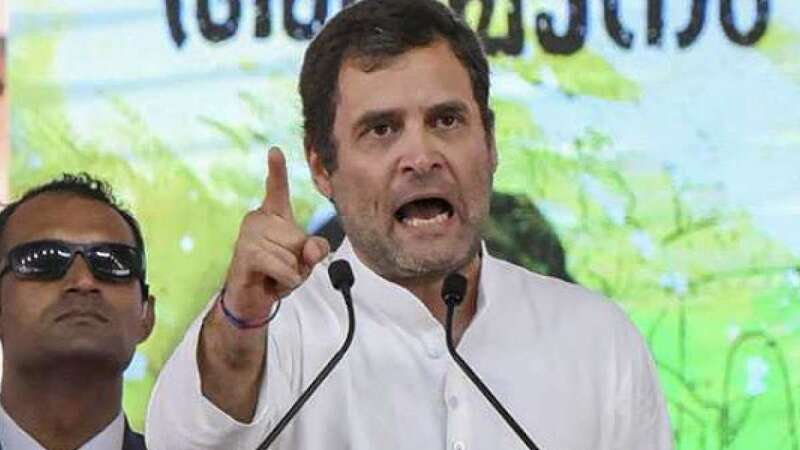 Rahul Gandhi takes a dig at PM Narendra Modi, asks "HowsTheJobs"
New Delhi : Congress President Rahul Gandhi on Thursday attacked Prime Minister Narendra Modi quoting a survey report that claimed that unemployment rate in India rose to 45-year high during 2017-18. While Rahul Gandhi termed the data revealed in the survey report as "National Disaster", the Bharatiya Janata Party called it "Fake News". The assessment by the National Sample Survey Office (NSSO) conducted between July 2017-June 2018, showed the unemployment rate stood at 6.1 per cent, the highest since 1972-73. Citing the report, the Congress president tweeted: "NoMo Jobs! The Fuhrer promised us 2 crore jobs a year. 5 years later, his leaked job creation report card reveals a National Disaster. Unemployment is at its highest in 45 years. 6.5 crore youth are jobless in 2017-18 alone. Time for NoMo2Go. #HowsTheJobs"